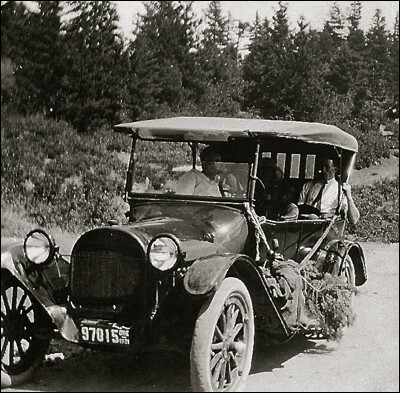 The Daugherty family car on Siskiyou Pass in southern Oregon in the summer of 1921. This was a few months before my mother was born. Grandma Maude is sitting in the front passenger seat.